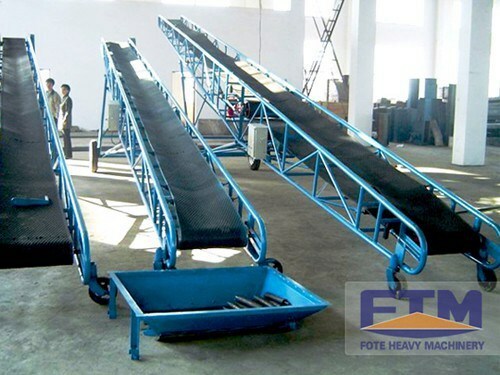 the belt conveyor can be used as a link among production machinery and equipments to achieve the continuity and automation of production,which improves productivity and reduces labor intensity. 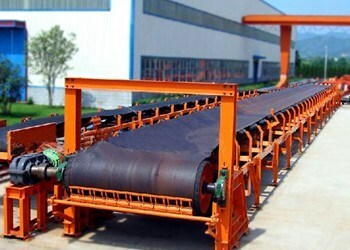 Belt conveyor is able to convey various materials economically and effectively. In industrial production, the belt conveyor can be used as a link among production machinery and equipments to achieve the continuity and automation of production,which improves productivity and reduces labor intensity. It is mainly composed of frame, roller, cylinder, tensioning device, transmission device.It is applied in a variety of fields such as mining, metallurgy,construction,etc.It can work as a single transmission, or it can also match with other conveying equipment to form horizontal or inclined conveyor system to satisfy different layouts of production line. 1. 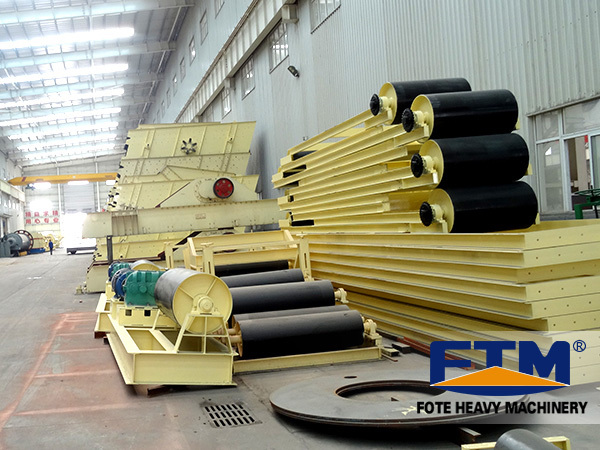 The belt conveyor has low power consumption, small friction in the process of transmission, high productivity, which can help us convey the raw materials from one side to the other side. 2. The belt conveyor has different length, so it is very convenient for us to choose. 3. Simple design structure,economical and practical running can eventually achieve the goal of our users. 4. Various conveyor types, we mainly choose types according to the raw material of our belt conveyor. 5. Low noise,convenient maintenance, no relative movement between materials and conveyors.